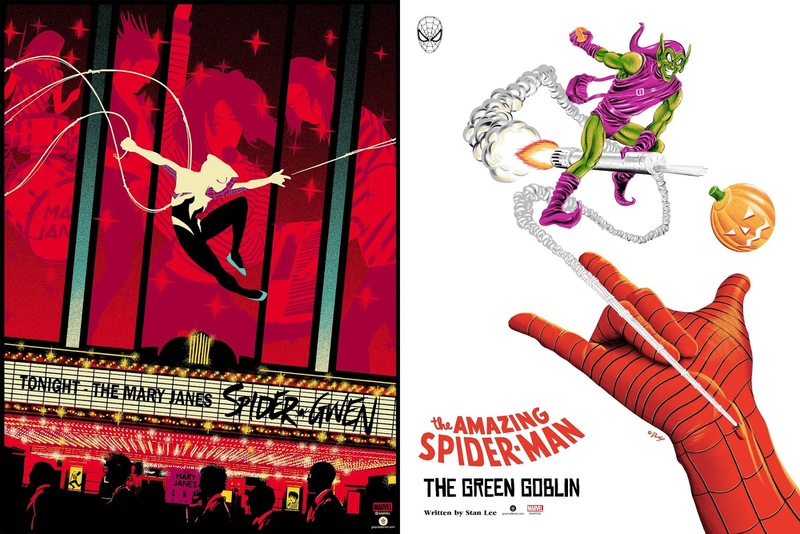 Grey Matter Art continues their popular line of officially licensed Marvel screen prints with two new Spider-Man releases by artists Doaly and Raid71! Both artists will be continuing their Marvel series with Raid71 taking on the Spider-Verse superheroine Spider-Gwen and Doaly with his version of the iconic Spider-Man vs. Green Goblin. Spider-Gwen by Raid71 is an 18”x24” hand numbered screen print limited to 125 pieces. Spider-Man vs. Green Goblin by Doaly is an 18”x24” hand numbered screen print limited to 100 pieces. Both prints will go on sale at 1pm EST on Thursday, February 7th, at the Grey Matter Art online store for just $40 each.